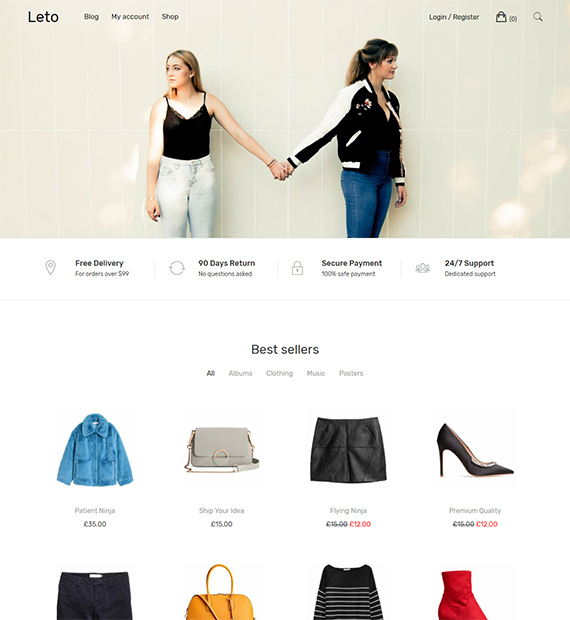 Leto is a visually pleasing and clean theme prepared for shopping and eCommerce websites. The theme comes with cool header options as well as header video support. Powered by WordPress customizer, Page Builder plugin, and other built-in plugins, you can easily customize the theme according to your demands. Leto’s native cross-browser support, retina-ready design, and its translation compatibility ensure that any kind of viewer on any platform can easily browse through your shopping platform. Its awesome Google fonts addition also add that extra touch to your blogs if you decide to build one.